In your search for the right custom home builders in North Carolina, there are many things you need to consider. Of course, the style of home plays a large part, as does location. But by the time you have reached this point, you will most likely already have a list of home builders in mind for the project. There are several very important questions you should ask any custom home builder you are thinking about using. 1. 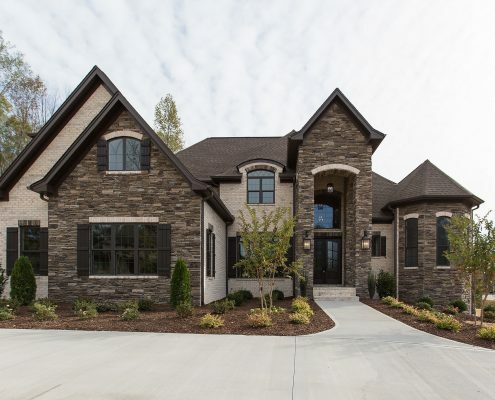 How Long Have You Been Building Custom Homes in NC? Hiring custom home builders in North Carolina is similar to hiring a team of long-term employees. You would not hire an employee without a resume and references, so why would you hire a builder without doing the same. You need to know about their work history, how many years they have been in business, what special skills they bring to the table, and that they are fully familiar with all local codes and regulations. 2. How Long Will Building My Home Take? Before you decide which contractor to hire, you should ask them to provide you with a start and finish date in writing. Along with this, the contractor should be able to give you a complete list of the major milestones in the construction project. This will allow you to check on the progress of your custom home at any point and address any variances before they become a major problem. 3. What Happens If I Make Changes to the Original Plan? When you sat down and put together the plans for your dream home, you probably thought you were done. However, during construction, you might find you have to make a few modifications. You need to ask the contractor how they handle these changes and if those changes will cause work to stop while you hammer out the details. Be sure this information is all included in the contract to avoid issues down the road. This one is very important as not all custom home builders in North Carolina do their own work from start to finish. Many use a number of sub-contractors for things like wiring, plumbing and climate control. While there is nothing wrong with this, you need to know how much time the contractor will spend on-site during the project and who will be supervising the construction of your home when he is not there. 5. Why Are You the Right Custom Home Builder for Me? Making the right choice of custom home builders in North Carolina is vital to a successful outcome. Having a custom home built represents a major financial and personal investment. Be sure to ask every builder you are considering what sets them apart from the rest, what makes them unique, why they think they are the best choice to build the home you and your family plan to live in for many years? Each builder has their own philosophy, this is a good time to make sure theirs and yours mesh so that you are comfortable with them constructing your new home.